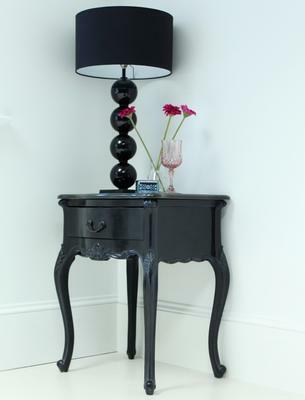 This Black French Bedside Table is quite a delight to have. 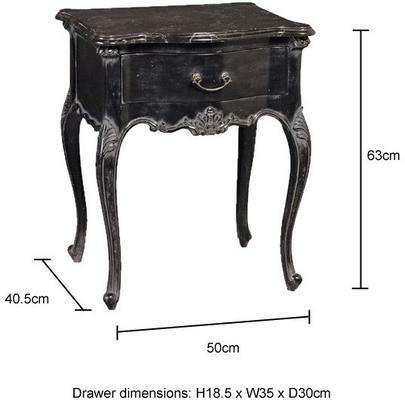 Gorgeously handmade, the table has a distinct French look. This includes a smooth top marble surface for holding a lamp or a vase of flowers. The marble top is packed separately so you can simply place them on top of the table when assembling. There's a single drawer at the front which is useful for storing emergency items. 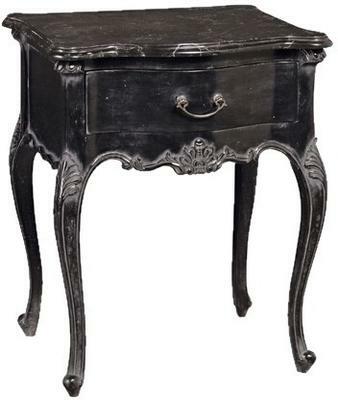 Apart from that, the mahogany base of the table is lightly carved to echo French details. This includes the distinct cabriole leg design and the slight distressed finish. 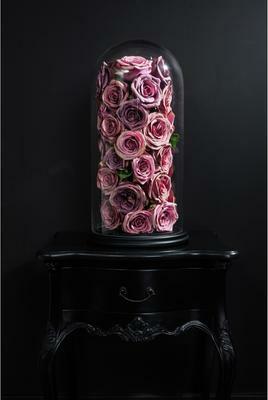 Use this inside your bedroom or as a corner piece in your living room. It's a stylish and chic table perfect for modern and sophisticated interiors.